This flower bouquet has a good mix of all flowers including Roses, Gerberas, Lillies, Lysianthus, Thistles and other seasonal flowers. Deluxe flower bouquet of cut flowers really is stunning when wrapped in tissue and cellophane. A lovely gift for a birthday, anniversary or retirement. This flower bouquet can be made in different sizes and a choice of colours. 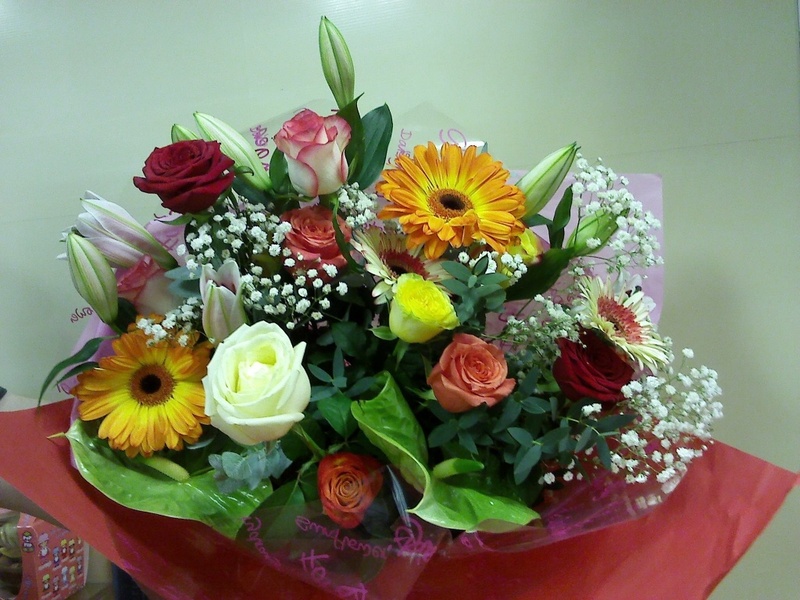 This flower bouquet well be really admired by anyone who receives them.